​Arsenal midfielder Mesut Ozil is determined to fight for a regular starting spot under Unai Emery and will reject any loan offers that come his way this January. Since Emery took the reins at the Emirates the German midfielder has been in and out of the team, more often than not through injury, but on occasion due to tactical reasons. As a result, the 30-year-old has appeared just 13 times in the Premier League so far this season but according to reports from ​ESPN, Ozil is ready to force his way back to the forefront of Emery's side. This time last year, Ozil was signing a new contract worth £350,000 a week before tax, making him the highest paid player in Arsenal's illustrious history. However, after an inconsistent year, rumours have emerged that offers could be tabled for the World Cup winner's services during the winter transfer window. But despite the German's unpredictability on the field, he has captained Emery's side five times in the Premier League this term and has picked up the man of the match award on more than one occasion, meaning the playmaker cannot be far from Emery's plans. For Ozil to force his way back into Emery's weekly starting XI though, his contribution in the attacking third will have to improve. ​The German registered just his second ​Premier League assist of the season in Arsenal's 3-1 win over Burnley last month and has scored three goals, all of which came in the first nine games of the season. These numbers are not indicative of a man in form, and are far from representative of a player who once recorded 14 assists in 13 Premier League games, during the 2015/16 season. 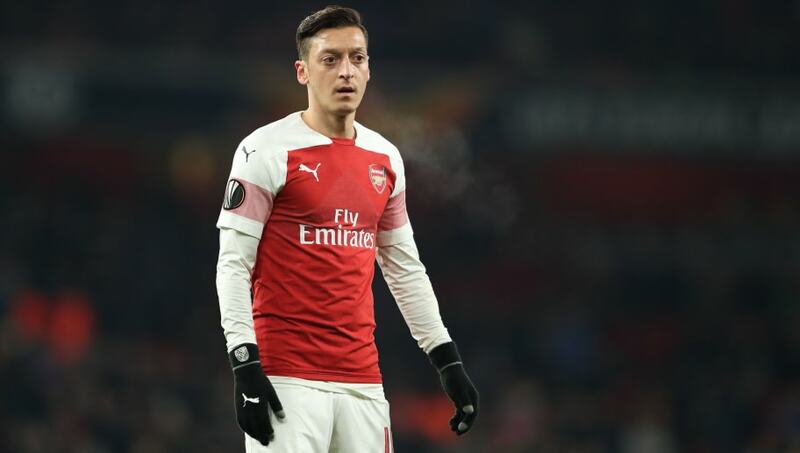 Ozil will be eyeing a starting spot on Tuesday night as ​Arsenal welcome relegation candidates ​Fulham to the Emirates, knowing a win would leave them two points off the top four.